What would Spring & Summer be without a great backyard BBQ? 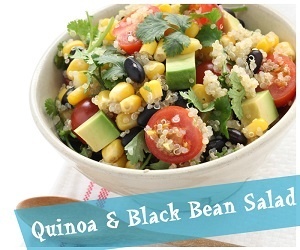 Make your soiree even better with delicious, healthy dishes that everyone can enjoy! Below, our team shares their favorite things to throw on the grill + BBQ side dishes that won't undo all of your hard work at the club. The best part? No skimping on taste! 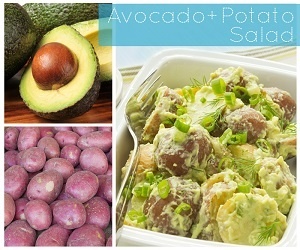 To keep things healthy, substitute mashed avocado for mayonnaise in her BBQ potato salad for a fresh, creamy flavor and added nutritional benefits. Your traditional mayonnaise-based potato salad calls for one to one and a half cups of mayo. By substituting one cup of mashed avocado for each cup of mayonnaise, you could save nearly 1200 calories! Not to mention a boost in fiber, potassium, and vitamins C and B6. If your recipe calls for one and a half cups of mayonnaise, try mashing 2 ripe medium-sized avocados with a tablespoon of lemon juice. Grills aren't just for meat and veggies! Grilling a whole pineapple not only enhances the flavor, but also makes for a great presentation at the end of your meal. Cut the rind off of the pineapple and sprinkle cinnamon on all sides. On a hot grill, heat each side of the pineapple for 2-3 minutes. Remove from the grill and cut into one-inch slices. Serve warm with a small scoop of vanilla ice cream. Grilled brussel sprouts are low in calories and fat, and add tons of fiber and Vitamin C to the meal! In a microwave-safe bowl, add one pound of clean brussel sprouts and an inch of water. Microwave for 3 minutes. Carefully drain water from the bowl and add 2 tbsp olive oil, 1 tbsp fresh minced garlic, 1 tsp dry mustard, 1 tsp smoked paprika, fresh ground sea salt and black pepper to taste, mixing until lightly coated. When sprouts are cool enough to handle, add to a metal skewer, leaving ½ inch between each. Place on hot grill for 5 minutes, rotate, and finish cooking for another 5 minutes. This light and satisfying salad is a great make-ahead dish that will allow you spend more time enjoying your BBQ. Combine all ingredients except the avocado, mixing well. Allow salad to rest in the fridge for 30 to allow the flavors to marinade. Mix in the avocado immediately prior to serving. 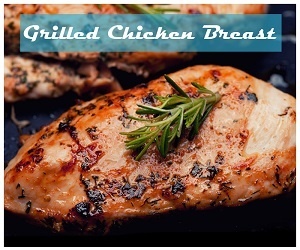 Grilling adds great flavor without needing a ton of seasoning or oil. Drizzle 1-2 tablespoons of olive oil on a plate and place clean salmon filets skin-side down. Season with fresh salt and pepper. Slice zucchini length-wise or into spears, depending on the size of the zucchini, and spray with an olive oil or light cooking spray. On a medium-hot grill, lay salmon skin-side down and arrange zucchini around the fish. Cover and let cook for 5 minutes. 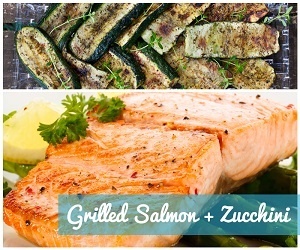 Open the grill and rotate zucchini onto its opposite side, grilling both the veggies and salmon for another 3-5 minutes. If the fish begins to flake when you gently prod it with a fork and the zucchini is tender, then it’s ready! Finish fish with fresh squeezed lemon and enjoy! Impress your guests with a sophisticated dessert that takes only minutes to make! Cut clean peaches in half, removing the pit. Grill flat-side down on indirect heat for 3-5 minutes. Rotate peach 90 degrees (this creates nice grill marks) and grill for 3 more minutes. Add a balsamic reduction before serving. Make-ahead balsamic reduction: Add double the amount of balsamic vinegar that you want to end up with to a small saucepan (1 cup will produce ½ cup of balsamic reduction). On medium-high heat, bring to a boil and then reduce heat to low, simmering for 25-30 minutes. Check the progress of the reduction by dipping in a spoon. If spoon comes out coated in a syrup, then remove from heat. Otherwise allow it to simmer a few minutes more until you achieve a syrupy consistency. Allow reduction to cool and store in an sealed container at room temperature. Mix equal parts garlic powder, salt, pepper and chili powder. 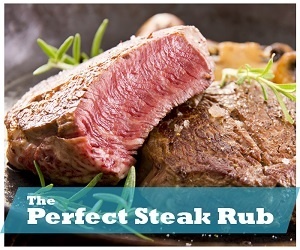 Rub on both sides of the steak, allowing it to rest for 30 minutes prior to grilling.